You&apos;ve got the coat &quot;and bag. Perhaps the perfume and sunglasses too? Now there is the chance to really &quot;live&quot; fashion. Iconic fashion brands as diverse as Lacroix and Camper, Ferragamo and Miss Sixty, have moved their design skills beyond the catwalk and into the hotel lobby and guest room. 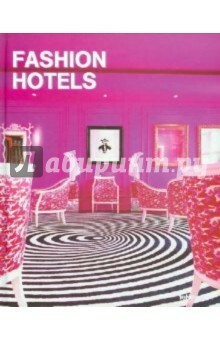 Inspirational and aspirational, Fashion Hotels showcases the world&apos;s most coveted interior design couture over 136 pages and 200 images. Text in English, German, French, Spanish and Italian. книге даны на нескольких языках.